take profit 20 to 30 pips. stop loss last high and low. Screen Capture to record video on your computer! making demos, tutorials, and training videos. * More Than 10 Ways to Capture. * Easy-to-Use and Intuitive Interface. * Powerful Image Editing Tools. * More Than 8 Ways to Output. * Setup Custom Hotkeys for Any Way. * Support all popular Internet formats. capture, video screen capture, sound record and etc. * You can arrange, resize and custom any intuitive interface. * Super Screen Capture has an advanced image editing utility. * You can assign hotkeys to the different functions. * Such as: BMP, JPG, GIF, PNG and etc. 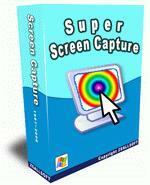 * Different from other screen capture software, easily and quickly.